Hey everyone! We are super excited to announce the hosts and schedule for A.G.Howard's UNTAMED Blog Tour. The tour runs for one week, November 16th- 20th, and consists of special posts from A.G Howard. 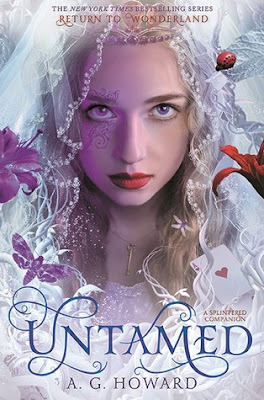 There will also be a tour-wide giveaway for finished copies of UNTAMED US Only. And also there will be an awesome scavenger hunt for International prizes! We can't wait for UNTAMED to release Tuesday, December 15th, and for the tour to begin on the November 16th.